MOSCOW, October 30. /TASS/. 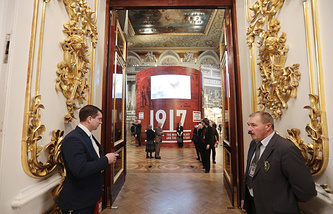 Russian President Vladimir Putin has laid flowers to the Wall of Sorrow - a Moscow monument to victims of political repressions - and talked to some guests at the opening ceremony. The ceremonial speeches were followed by a moment of silence, and then the choir performed a mourning composition. 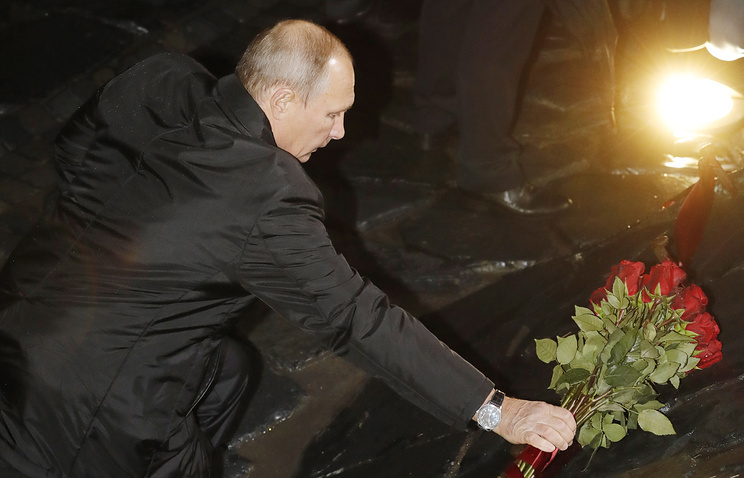 Vladimir Putin, Patriarch Kirill of Moscow and All Russia and Moscow Mayor Sergey Sobyanin laid flowers to the monument. They passed through the Wall of Sorrow, and the state leader talked to several senior citizens who attended the ceremony. About one hundred people came to the monument today: religious believers, government officials and human rights activists, as well as many elderly people who brought their children and grandchildren with them. Almost everyone was carrying flowers that they laid to the monument after the president.